This is Gianluca’s first ever Barolo under his own label, having left the family business after 23 years of making Barolo. Despite the funky packaging it remains a traditionally made (static tanks, long maceration, long ageing in large oak) if contemporary blend of fruit from three vineyards from his village of Vergne, above that of Barolo: east facing young vine Bricco delle Viole, 70-year-old vines from San Ponzio, and 30-year-old Serradenari; harvested at between 48 and 52 hl/ha. Fermented in cement for 30 days, before being transferred to 50hl slavonian oak barrles, Gianluca has captured the village’s ‘terra rossa’, silty component: delightfully open and engaging, with soft with strawberry aromas, the palate follows with gentle juicy, strawberry incense and essential oil intensity, together with an earthy note that reminds us of Vergne location along the ridge from La Morra. 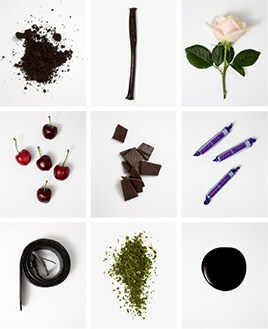 Beguiling, and how exciting to know that the 2011 will include fruit from the notably fine Fossatti vineyard. Only 300 plus cases made. From one of the highest vineyards in Barolo, this is a perfect introduction to the region. A wine with crushed roses and violets blended beautifully with blackcurrant fruit. It has a lovely clarity to it, a sense of sweetness that is held perfectly in check by flavours of graphite and touches of coffee on the finish. Gianluca Viberti’s family have been tending their Nebbiolo vines in Vergne, a hamlet of Barolo, since 1923. 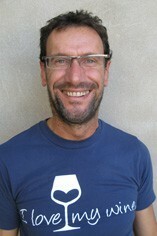 However, in 2010 Gianluca decided to start afresh after 22 years of making wine for his kin. 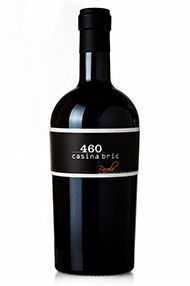 His estate is called 460 Casina Bric, with ‘460’ referring to the altitude above sea level of the vines and ‘Casina Bric’ the Piemontese words for ‘winery on the hilltop’. Here, on Tortonian clay soils, Gianluca has ten hectares in total, including plots in the prized vineyards of Bricco del Viole and San Ponzo.